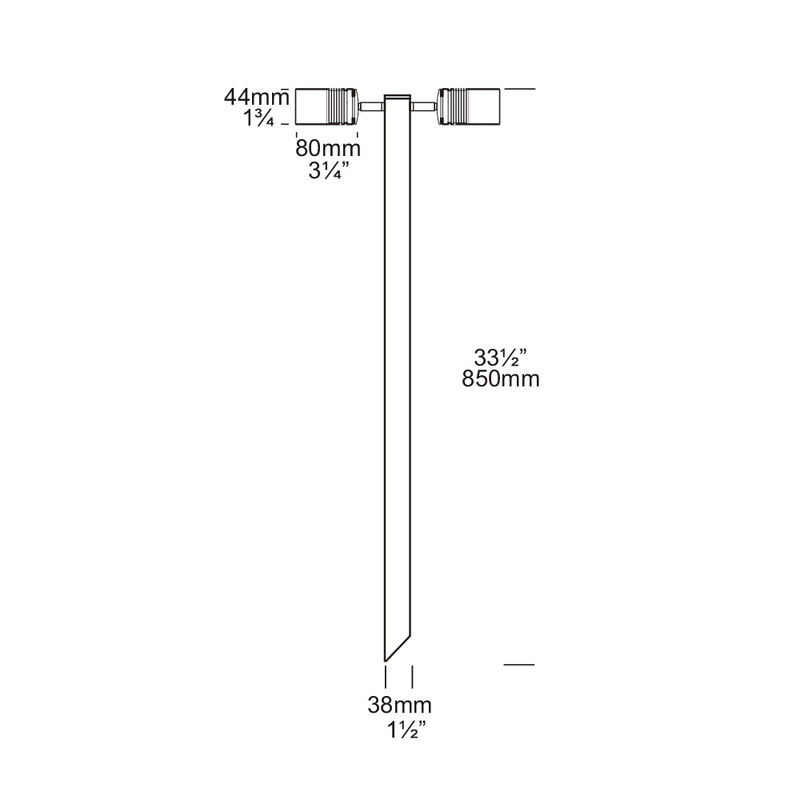 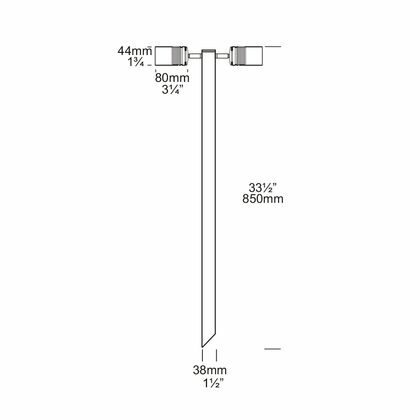 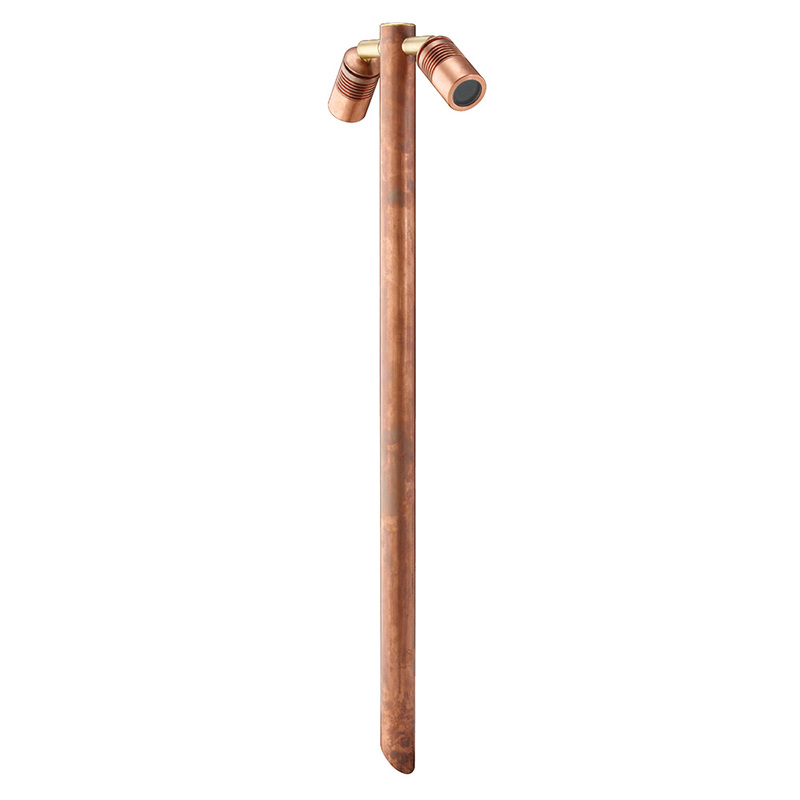 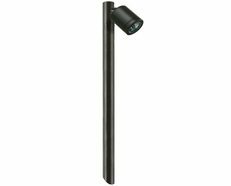 The Euro Twin Pole Lite is for situations where the luminaire needs to be discreet. 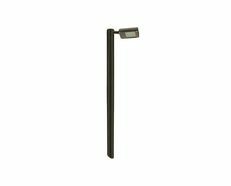 The smaller sized MR11 lamp is utilised to achieve this. 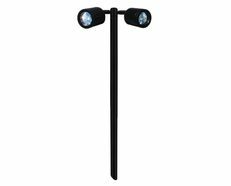 Each spotlight can be aimed in any direction. 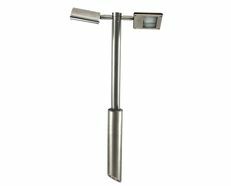 This luminaire has fully adjustable arms allowing 360 degree rotation and 0 - 90 degree elevation with a built-in glare guard. 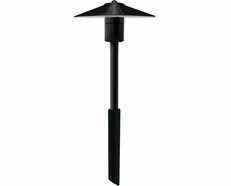 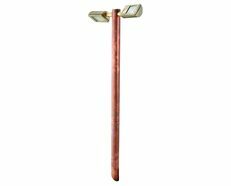 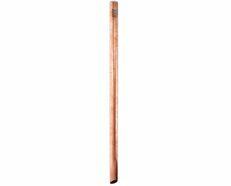 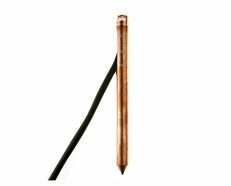 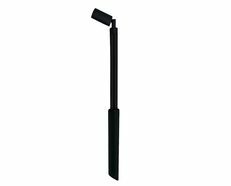 The Euro Twin Pole Lite is ideal for path lighting as well as tree lighting, or the heads may be aimed downward to eliminate vertical light.